Bingham Ground Services install various types of playground safety flooring to best suit your conditions and budget. We can advise on the cheapest playground surfaces and the most suitable soft surface to suit your requirements. This is the most popular type of outdoor play flooring which we install, mainly due to its durable properties and the fact that it can be laid over almost all existing playground surfaces, adding colour and vibrancy, creating a much more exciting and stimulating play area. Needlepunch is a type of surfacing made from artificial turf. Its small curled strands make it different from other types of artificial grasses, making it super versatile and long lasting. This type of playground turf can be laid on flat or undulating surfaces, giving flexibility to install the surface onto difficult areas. Unusual features can be incorporated into the design such as slopes or mounds because of the materials ability to flex. This type of play surfacing can also be easily laid around existing playground equipment. Needlepunch synthetic grass naturally provides the user with a softer, impact absorbing surface. However, when installing around play equipment with a fall height we can also add shock pads to ensure the flooring meets all required critical fall heights. We believe this is the best playground surface that we can offer. we can carry out this service to meet most surfacing specifications and dimensions, to suite your individual requirements and budget. This ensures that you're happy with the final product. This option is a popular type of outdoor play surface and again can be installed in a variety of colours to add interest and vibrancy to your outdoor play surface. 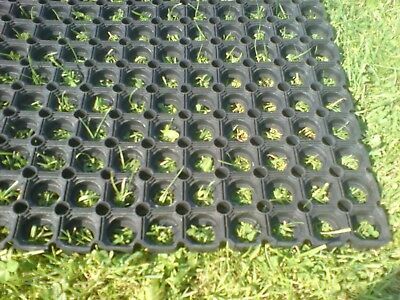 We would advise this to go onto a prepared base to stabilise the play area and add drainage. This again meets with fall height regulations and gives a great cushioned playground surface option. Rubber playground tiles also can fall into this category although less popular nowadays it is a playground flooring option that we can offer. Bingham ground Services want to help you out as much as we can, which is why we also offer some more cost effective play surfacing options, whilst still maintaining our high standards. While Needlepunch and Wet pour rubber are our the most popular play flooring choices, we also offer a couple more options to suite your budget and design specifications. Rubber mulch has become a more popular option now as an alternative outdoor playground flooring option, again we can undertake this type of installation and all associated base works This surfacing option too will give you a cushioned playground surface due to its fall height tolerances. Bingham Ground Services also have the equipment to professionally clean the rubber playground tiles and wet pour surfacing so if you require an idea of maintenance of existing areas then please get in touch. All our designs, specifications and quotes are tailored to suite you and your organisation. We want to ensure your new facility has the best possible performance and safety characteristics for all users. We would love to speak with you about your playground surfacing needs and help you to get the best surface to meet your requirements. contact us today so we can help create your perfect play surface! Which ever surface you require, we can undertake with our team of in house skilled staff who are fully DBS checked.